[prMac.com] San Francisco, California - Gro Software today introduced Gro CRM version 1.5. 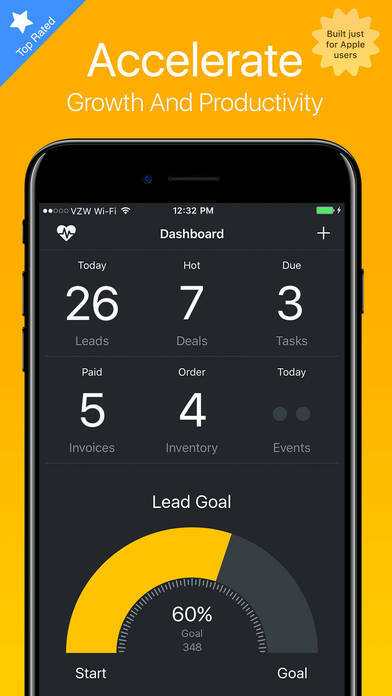 Gro CRM is the Mac CRM small business platform designed exclusively for Apple iPhone and iPad. Gro CRM is helping transform small businesses around the world with their easy to use customer relationship management platform built for the Apple small business market. Gro CRM version 1.5 bring hundreds of updates, features and performance enhancements to the popular Mac CRM platform for small business. Some of the new features include: a REST API, a Solo edition for single users, customizable CSV exports, over 45 customizable email reports, iOS and email notifications and many more user requested features. "The new Gro CRM Solo edition is targeted at sole proprietorship businesses, startups and individuals that need a powerful yet affordable CRM solution to manage their customer relationships and business. Having access to a customer relationship management platform can help jumpstart a company's growth from day one." said Sophia Maes Senior Vice President Sales. With Gro CRM 1.5 every account has access to the Gro CRM API platform. Gro Software is empowering developers with the availability of a new Gro CRM API. The new API allows organizations to connect and build apps that integrate with the Gro CRM platform with complete ease. Businesses of every size rely on APIs to save them time, money and to streamline their business processes. Gro CRM is available immediately through the Apple(R) App Store and on the Gro CRM website. The download is free but requires a monthly or annual subscription. Solo subscriptions are available for 14.99 USD/seat/mo. Basic subscriptions are available for 24.99 USD/seat/month and Pro subscriptions are available for 49.99 USD/seat/month. Download Gro CRM from the Apple App Store or go to the Gro CRM website and download A 14-day free trial. Gro CRM is the Mac CRM Small Business Platform that is empowering the Apple small business market with the CRM tools they need to grow and succeed. Headquartered in San Francisco, California, Gro Software is founded by a dedicated team of Apple developers, ex-Apple employees and Mac CRM experts. All Material and Software (C) Copyright 2017 Gro Software LLC. All Rights Reserved. Apple, the Apple logo, iPhone, iPod and iPad are registered trademarks of Apple Inc. in the U.S. and/or other countries. Other trademarks and registered trademarks may be the property of their respective owners.